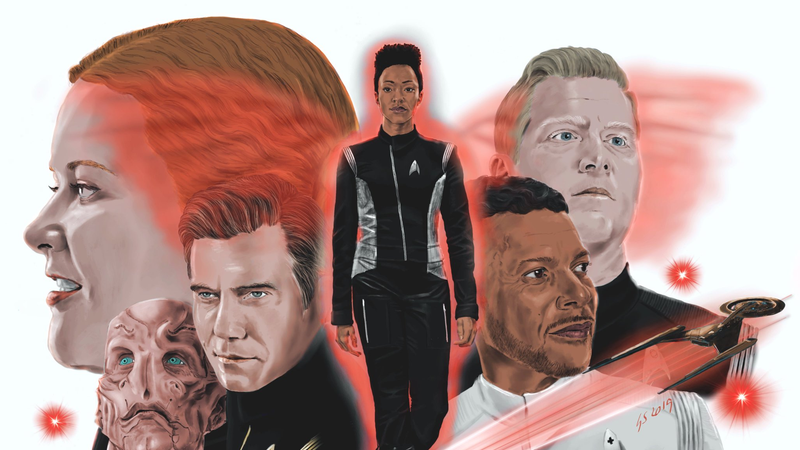 A painting of the Discovery cast. Twitter user @SerinaTirek, inspired by her passion for Star Trek: Discovery in particular, has filled up her feed with incredible, detailed sketches from this era and past eras of Trek. Her work is sharp, photographic, and just lovely. She’s given us permission to share it here. Star Trek: Discovery is in its second season, and is airing on CBS All Access. @SerinaTrek’s art can be seen on her Twitter and DeviantArt.